The thing about fall weather where I live, which is also the case for much of the country, is that it's all over the place—more so than perhaps any other season of the year. You can wake up one day and it's a summer-like 85º, only to find yourself faced with a crisp temperature reading of 63º the next. And as a result, more often than not over the years, I've found myself staring at my closet in October and November thinking that I have nothing to wear. But post–age 30, I've finally wised up and made a point to invest in versatile fall wardrobe staples that I can layer (or wear on their own) with ease, depending on the temperature on any given day. Sure, I could simply tell you about the fall staples a fashion editor wears post-30, but even better, I'm telling you about the fall pieces I wear that get the most compliments. Because is there anything on Earth that validates a purchase more than a few compliments, whether from your co-worker, significant other, Starbucks barista, or even Instagram followers? Not in my book. Keep scrolling to see which fall staples I always get compliments on post-30, and shop them for your own well-rounded wardrobe. 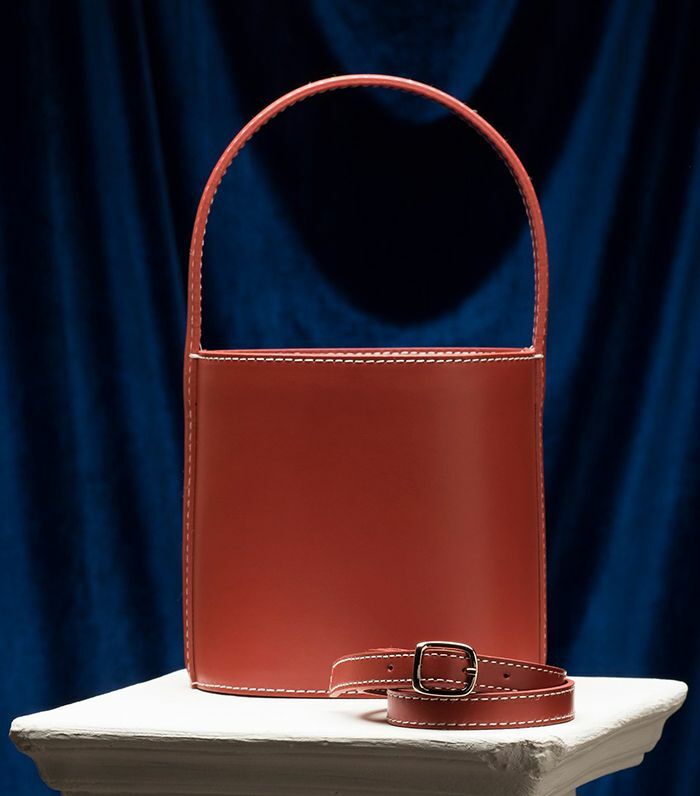 Staud bags have a distinctive look that instantly catches people's attention. This goes-with-everything cognac-hued iteration is a favorite of mine. When you think of Reformation, you probably think of pretty dresses, right? Well, I do too, but this time of year, it's the cool sweaters from the brand that I'm always adding to cart. The fit and quality are so good that people always ask me where I got them. Le Specs shades make a statement—you can wear them with everything, and they're easy on the wallet. What more could you ask for in a fall accessory? Zara pieces are undoubtedly tried-and-true compliment-getters, but for fall, I always gravitate toward their assortment of cool, cozy scarves. 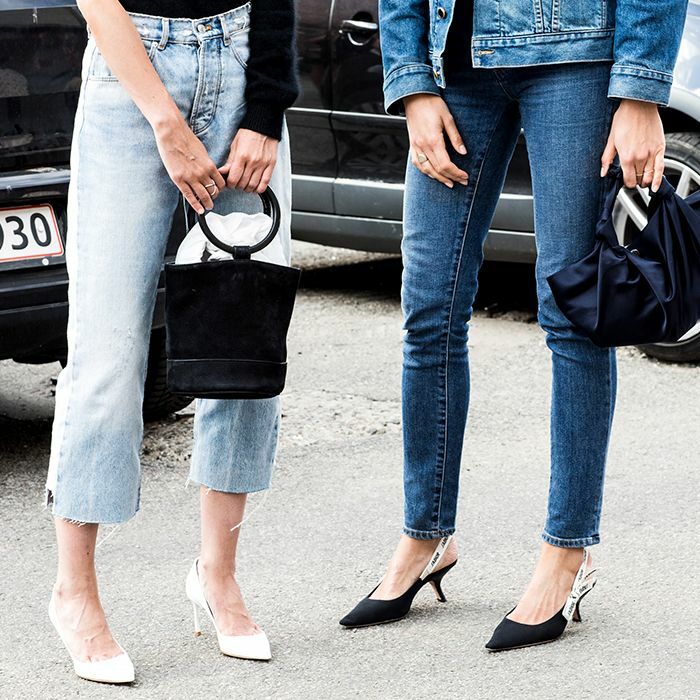 Re/Done jeans are a splurge, but they're a splurge that you'll wear on a weekly basis. Their authentic vintage look makes them unique. I wear Wwake pieces year-round, but when the weather cools down, I always find myself reaching for the pieces I avoided during the monthlong heatwave that is July. If you want flattering cropped pants that look expensive, you need to get your hands on these. Celebs and French girls agree: Réalisation dresses are great for those warm, early-fall days when shorts just won't do. Another dress brand that people always ask me about is Christy Dawn. I'm particularly fond of her one-size-fits-all Dawn Dress, which looks perfect layered under sweaters and with sneakers and ankle boots. These Mansur Gavriel mules are the ideal color for fall days. They go with denim, black, burgundy, white—you name it. I own this sherpa-lined Levi's jacket and an unlined one. Between the two of them, I have a Levi's denim jacket for any temperature. Glasses aren't only for fall (for obvious reasons), but I find they look particularly cool with cozy sweaters and coats, and therefore, I find myself trading my contacts for them more often than not. Sure, these look pretty basic, but something about these cult favorites always garners praise. Ganni everything is cool right now, but its pretty outerwear, in particular, is worth every penny. Good luck finding a pair of leggings that are softer and more flattering than Beyond Yoga's. The brand has enough options to please any legging preference, from basic to bold. The fit of these is the best in a striped T-shirt I've found, and the fun logo sets it apart from the pack. Speaking of leggings, this is the jacket I wear with mine on cool mornings. I wish I had a dollar for every time a fellow legging wearer asked me where it's from. I'm not alone in my addiction to these comfortable shoes. They have five stars and are constantly selling out. I never thought people would compliment a basic pair of loafers, but I was wrong. I snagged an Iro leather jacket on sale a couple of years ago and am so glad I didn't let it slip away. The fit and weight are perfect and can easily be layered. Next up, check out 30 doable ways to upgrade your style this fall.